Congratulations! Scholarships are now available thanks to the generosity of Blueprint4SummerSTL and Sunnen Products Company. To take advantage of this opportunity, enter 183113 when asked for a Coupon Code. You will still be required to provide your billing information. 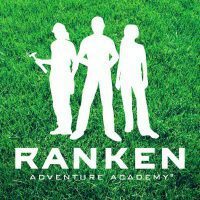 At Ranken’s Summer Adventure Academies, students get fun, hands-on experiences with technology. They learn about career paths in technical industries while they have the experience of a lifetime. Each program encourages students to design, create, think and work through hands-on activities. Over the course of the week, students complete a project and often get to take home their unique creations! Adventures in Architecture – Experience architecture and the built environment through designing, sketching, drafting, and model building. Get hands-on experience with laser cutting & computer aided drafting. Drone Aerial Systems – You’ve seen them, you’ve heard about them, now learn how to fly one. Learn to fly a drone through an obstacle course and video record your own flight exploring the Ranken campus. FANUC Robotics Technology – This camp will explore how a six axis robot operates and how to program a FANUC robot to perform basic functions, including use of pneumatic grippers. A capstone project will illustrate each student’s experience.